My Glossary of Terms covers most astrological words and jargon used by astrologers. Air Sign: Air signs are Gemini, Libra and Aquarius. Ascendant: The ascendant is the point on the zodiac that was rising at the eastern hemisphere at the time of your birth. Aspect: An angular connection between planets and points in a chart. Expressed in degrees and minutes. Besieged: A planet found between the traditional malefic planets Mars and Saturn is besieged. It is under pressure and may not function well. Cardinal sign: The cardinal signs are Aries, Cancer, Libra and Capricorn. Constellation: A constellation is a group of stars. Diurnal: Things that pertain to the day. Earth Sign: The earth signs are Taurus, Virgo and Capricorn. Election Chart: An election chart is cast to find a future time to do something e.g. a wedding election. Element: The four elements are fire, earth, air and water. Ephemeris: A book that shows all the planets positions on any given day and other interesting facts. Equinox: The two equinoxes occur when the Sun is at zero latitude north or south. The dates are around on March 21st and September 21st each year. Essential Dignity: Planets have essential dignity when they are placed in signs of rulership, exaltation, fall or detriment. Also term and face are essential dignities. Exaltation: A planet in its sign of exaltation is considered well placed in the sign. Fall: Planets in fall are in the signs opposite their signs of exaltation. Fire Sign: The fire signs are Aries, Leo and Sagittarius. Fixed signs: The fixed signs are Taurus, Leo, Scorpio and Aquarius. Fixed Star: A star that appears not to move usually found in the constellations. Fixed stars do move but very slowly. Gauquelin sectors: The area ten degrees before or after the ascendant or the MC. Hemisphere: The division of a chart in half by either the ascendant/descendant axis or the MC/IC axis. 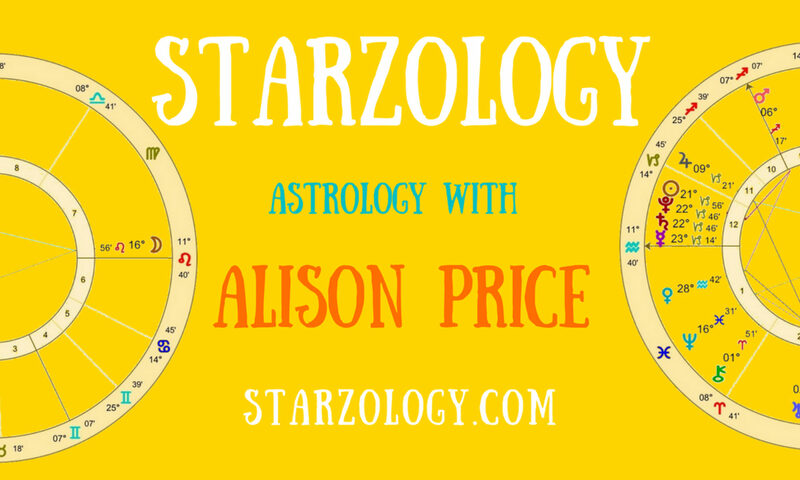 Horary: Horary astrology answers questions posed by calculating a chart for the time they are asked. House: A division of the chart into twelve house. House system: A method of dividing the chart into houses, e.g. Placidus, equal house, Regiomontanus etc. IC: Immum coeli is at the interception of the northern meridian and the ecliptic. Ingress: When a planet enters a sign or a house. MC: The midheaven or medium coeli is a point at the interception of the southern meridian and the ecliptic. Mode: There are three modes, cardinal, fixed and mutable. Most elevated: The planet that is closest to the MC by longitude and can be either side of the MC. Mundane: Astrology of world events and countries. Mutable signs: The mutable signs are Gemini, Virgo, Sagittarius and Pisces. Natal Chart: The birth chart. Nocturnal: Means of the night. Node: The Moon’s node is where the Moon’s path crosses the ecliptic either north or south. Occidental: Western or of the west. Orb: The distance allowed that aspects may be apart but still be in aspect. Orbit: The path of a planet, moon or star. Oriental: Eastern or of the east. Partile: Two planets within the same degree, e.g. 15° 00’ and 15° 59’ are partile. Plane of the ecliptic: The Sun’s path. Planet: A main body that orbits a star. Precession of the equinoxes: The slight backwards movement (precession) of the point every year where the Sun on the plane of the ecliptic crosses the celestial equator, moving north, at the vernal equinox. Quadrant: One of four divisions of a chart created by the two main axes. The quadrants are numbers one to four starting below the ascendant going anti clockwise. Retrograde Rx: The apparent backwards motion of a planet through the zodiac. Rising sign: The sign that is on the ascendant. Rising planet: A planet that is conjunct the ascendant. Ruler: The planet that rules a sign or house. Satellite: Something that orbits a planet. The Moon is the Earth’s satellite. Sidereal: Means of the stars. Sidereal zodiac: Sidereal Zodiac is the method used by Vedic / Hindu astrologers. It is measured from fixed stars which are on the plane of the ecliptic. The sidereal zodiac divides the circle into twelve signs, thirty degrees in celestial longitude, starting at Aries. The sidereal zodiac begins on, or near, April 15th each year. Sign: One of the twelve signs of the zodiac. Solstice: Two days in the year when the Sun reaches its farthest distance north or south of the celestial equator this is usually on or about June 21st and December 21st every year. Synastry: The comparison of two charts for compatibility and usually for romance. Table of Houses: A book listing the positions of houses depending on the latitude. Tenant: A planet occupying a house. Tropical zodiac: The tropical zodiac is the method that western astrologers use. It is measured from the vernal equinox (when the Sun crosses the celestial equator moving north). The tropical zodiac divides the circle into twelve signs, thirty degrees in celestial longitude, starting at Aries. The tropical zodiac begins on, or near, March 21st each year. The tropical zodiac is the one used on these courses and in my teaching. Vespertane: Western or setting after the Sun. Visible planets: The planets that can be seen with a naked eye. The Sun, Mercury Venus, the Moon, Mars, Jupiter and Saturn. Water Sign: The water signs are Cancer, Scorpio, and Pisces. Zodiac: These are several methods of dividing the 360 degree circle into twelve signs. The two most common are the tropical zodiac and the sidereal zodiac. Both the tropical and the sidereal zodiacs seem to have been aligned +/- 2800 years ago around the year 786BC. The signs of the constellations and the signs of the zodiac originally referred to the same section of the sky. Zodiac sign: The twelve signs of the zodiac were originally the twelve constellations that the Sun transited (passed through) each year. For a constellation to be a zodiac name it has to be on the plane of the ecliptic. See what people like you say about my astrology – Gracious testimonials.